Although Dangs district has rich forest resources, it is one of the most backward districts in Gujarat, with two-thirds of its inhabitants living below the poverty line. A sugarcane plantation worker seen running errands in Dang. 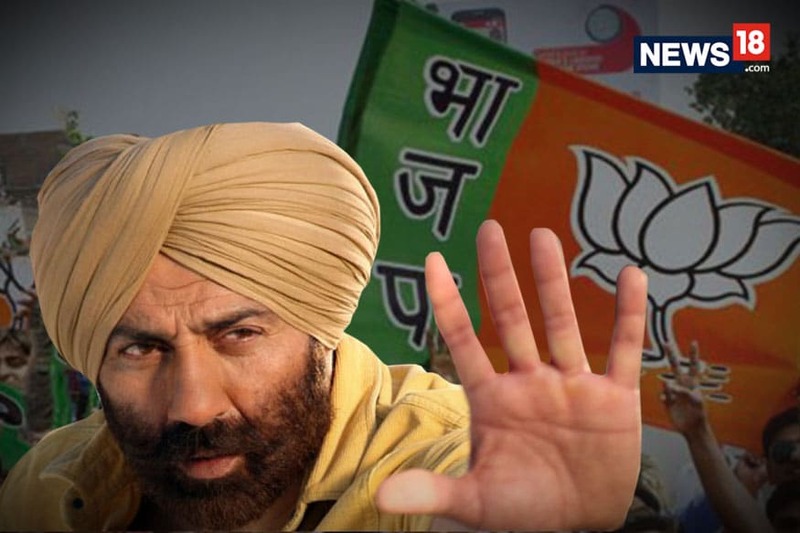 Ahmedabad: Valsad Lok Sabha seat, which includes the Dangs district, is one of the most backward districts of Gujarat, but is considered strategically important for political parties. Electoral history reveals that whichever party has managed to win this seat has ultimately formed the government at Centre. However, the condition of tribals of Dangs has not changed in the last four decades, claims, which have now been corroborated in a study titled, “Trapped: Cycle of Poverty, Migration and Exploitation”. The study was commissioned and published by the Ahmedabad-based Swapath Trust and done by researchers-Professor Lila Visaria, the former director of Gujarat Institute of Development Research and Harish Joshi. Although Dangs district has rich forest resources, it is one of the most backward districts in Gujarat, with two-thirds of its inhabitants living below the poverty line. The district has large a forest cover and thus, its population density is only 128 per square km compared to 308 in entire Gujarat. The study provides socio-economic conditions of the migrant workers in the place of origin (Dangs), the recruitment process as sugarcane harvesters, their wages, living conditions at the workplace, the plight of women, children and their education, among others issues. Researchers used a systematic random sample survey technique, for which 308 villages from Dangs were considered. 33 villages were randomly selected (about 10 percent of all villages) for the study. Researchers interviewed 990 households or 30 randomly selected households from each village. Dangs district, administratively divided into three taluka- Ahwa, Waghai and Subir- is the smallest district in Gujarat, in terms of population. 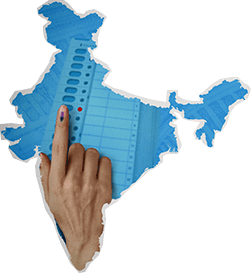 According to 2011 census, it has 2.28 lakh population, of which just 11% lived in urban areas. This is in stark contrast to Gujarat, as according to the last census, 43% are urbanised in 2011. Nearly 95% of the Dangs population is tribal. “One of our aims was to arrive at the migration rate (the percent of households from whom some members seasonally migrated for work in the year). Our results showed that nearly a third of all households seasonally migrate from the Dangs district every year to work away from their usual place of residence for almost half a year. Majority of them go to Surat and Valsad to harvest sugarcane,’’ Harish Joshi told News18. Moreover, Dangs district virtually has no irrigation facilities and so, those who cultivate non-reserved forest land (about 18% of total forested area), almost entirely depend on rain-fed agriculture. “The survey indicates that third of all households from Dangs district witnessed some migration in the last season (2016-17), as well as in the previous year. 80% of the migrants from our sample households reported that they worked in sugarcane harvesting sectors. They travelled from Dangs to sugar-farms located in Surat and Valsad districts. Remaining 20% travelled elsewhere in Gujarat or to Mahrashtra to work in vineyards,’’ Joshi added. 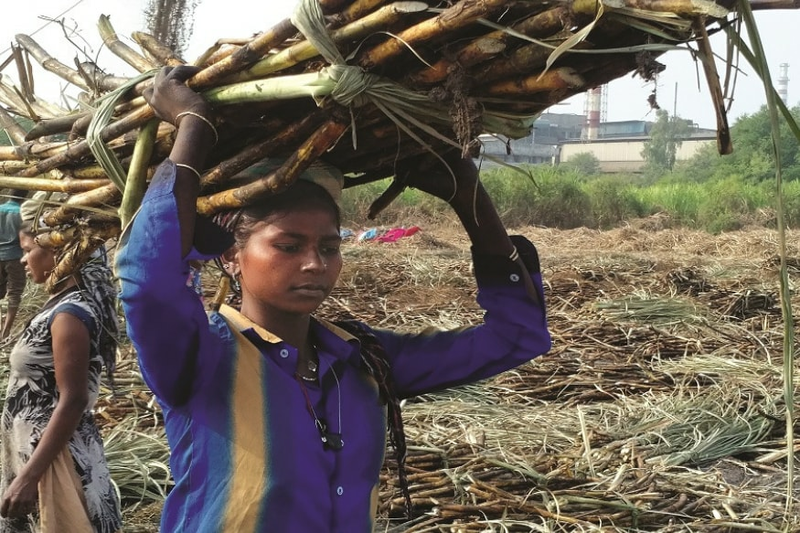 Researchers have calculated the wages and other fringe income of the sugarcane workers and it has been revealed that sugarcane workers, at best, earned merely Rs 127.3 per day in the last season of 2016-17, which is half of the mandated minimum wage rate of an agricultural labourer or unskilled non-farm labourer. “Since sugar harvesters are away from their villages for about 6-7 months, many couples also take their small children along. In the survey, in all, 338 children below the age of 18 years accompanied their parents. The survey also revealed that nearly 90% of the sugar cutters were younger than 40, and two thirds were below age 25. Given the strenuous work and long hours that this work involves, sugar harvesting is generally restricted to the young,’’ finds study. The study points out that migrant tribals work for nearly six months in sugarcane fields, ten to twelve hours a day and also at night for a few days in a month. “They live in the midst of mosquitoes. 97% of the residents defecate in open. The living situation is the same that the High Powered Committee of the Gujarat High Court noted in 1987. The children of the sugar cane harvesters in the school-going age group did not attend the local schools.’’. Interestingly, researchers of this present study juxtaposed their study with the study of sociologist and anthropologist Jan Breman, who had conducted the similar study on sugarcane workers in 1975-76 in the same area. 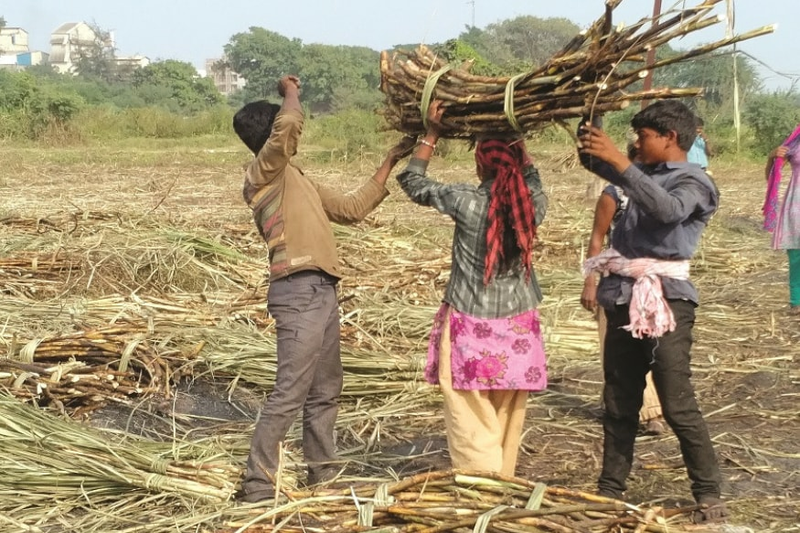 Researchers decided to study the lives of seasonal migrants from Dangs to Surat and Bardoli area of south Gujarat who work as sugar cutters. The migrants came for the same work that Breman had conducted in his study during 1975-76. “Our field based data on seasonal migration is juxtaposed with that of Breman’s work, to understand how the lives of seasonal migrants have changed and what has remained the same in the intervening decades,’’ said researchers, adding that “we are struck by the fact that while there have been a few discernible changes in the living of the workers, several factors related to their recruitment, basis of deciding their wages and underlying exploitation and subjugation have remained virtually unchanged in the last 40 years,’’. However, researchers observed one change. Earlier in early 1970s, almost all the sugarcane harvesters came as labourers to Gujarat from Maharashtra. With the passage of time, workers from within Gujarat began to be recruited, including the tribal communities of Dangs. “Breman’s study did not mention Dangi migrant workers in sugar factories. It seems migration of Dangi Tribals for sugarcane harvesting is a post-1980 phenomenon. When I visited Dangs for the first time in the late sixties, I did not notice out migration of the Adivasis (tribals) for livelihood,’’ Ghanshyam Shah, former Professor of Jawaharlal Nehru University (JNU), wrote in a forward of this study. According to the survey, most migrant workers borrow money from the Mukadams (labour contractors) and return it at the end of six-month of their work with fifty-percent interest. “Evidently, those who borrow large amounts in advance, pay large amount as interest and naturally, return home with very little in hand. Some workers lamented the fact that they simply survived in the Danga (temporary shelters) and would have to borrow almost immediately upon returning home from Mukadam and thereby committing to work in the next season for the same Mukadam,’’ researchers noted. “To a question on the major source of income, 82.5% of the migrant households reported earnings from sugarcane harvesting as their major source of income. Evidently, there are hardly any opportunities for any other work available in the villages of Dangs during the six months the migrants are back in their home. Thus seasonal migration, mainly to sugarcane farms, appears to be the coping mechanism for survival for a third of the households from the Dangs district,” the report stated. “As migrants, they appeared trapped in poverty, and even if they are not ‘bonded’, they have no choice, resources, skills, education or other support to escape from going year after year and generation after generation to work as sugarcane harvesters,’’ the study added. “The condition of sugarcane workers has not changed in the last four decades. Time has come to set things right. The findings of the recent study will instigate enough people to bring about the required changes. After findings of the study, we, at Swapath Trust have already started micro-finance system in Dangs to take tribals out of the vicious cycle of debt-trap,’’ Rajesh Bhat, managing director, Swapath Trust, which works with seasonal migrants in Dangs, told News18.